A family friendly restaurant focusing on ingredients found in the Baja Peninsula, Mexico, & Latin America served with a twist. Winner of 2012 Taste of the Beach Chef's Choice and Judges Choice Awards! 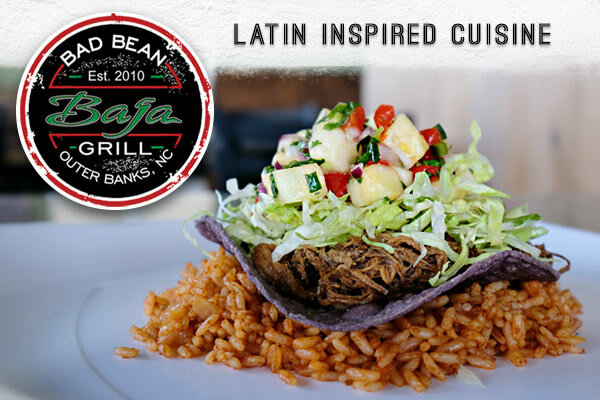 More than just a Mexican Restaurant, the Baja Grill focuses on Baja, Mexican and Latin flavors with an OBX twist!